It's just that I wish we could have a fetal rights debate. The problem with the abortion debate in this country is that it pits mom against child so that the rights (so-called) of the mom trump of those of the baby. When there is a debate about whose rights (not which rights!) are more important among the members of a dyad, the member who is most visible, most powerful and most appreciated will win, regardless of the truth. And the weak, the less visible and less appreciated will suffer. So instead of having that debate, we should really have a fetal rights debate. 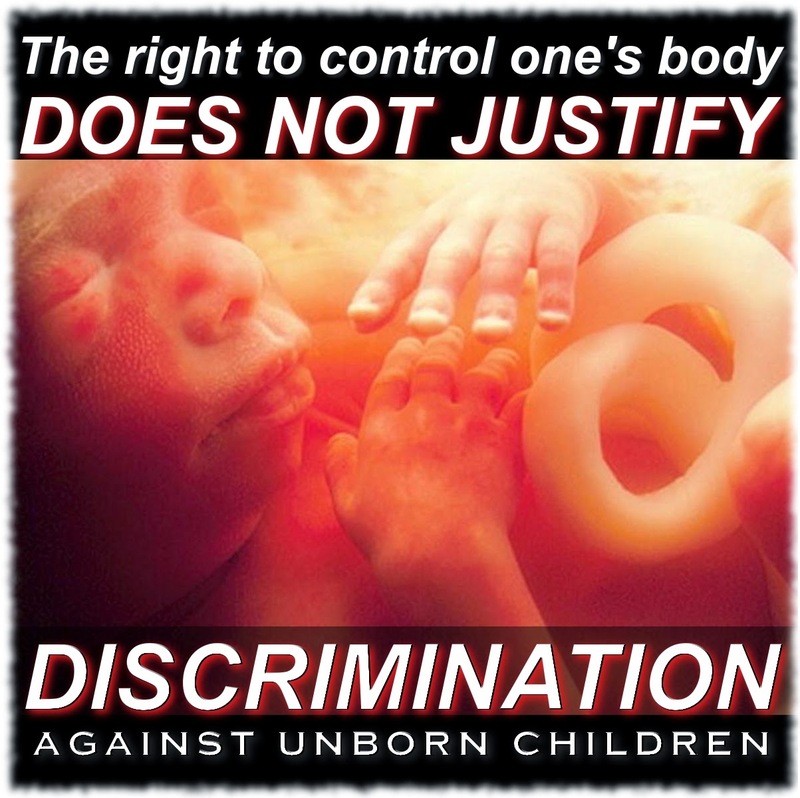 It's time to speak out against discrimination towards the unborn and normalize the idea that a fetus is a human being.